Today’s assignment was to pick up your house, clean out your silverware drawer, and find another 7 items around the house to get rid of. I was pretty excited when I read today’s assignment, because I had already completed half of it over the weekend, plus I had already picked up the house the night before! 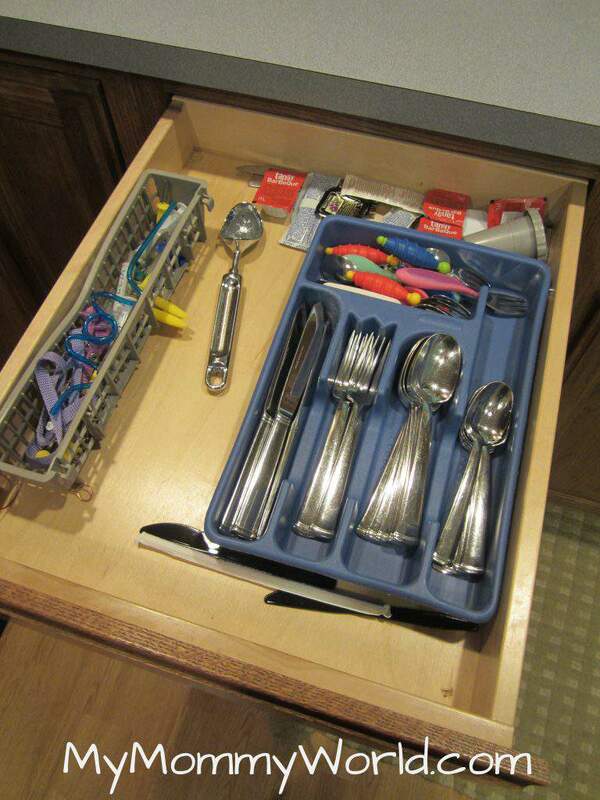 As I emptied the dishwasher on Saturday, I noticed a bunch of crumbs in the silverware tray. I decided right then and there to empty the tray and wash it in hot, soapy water before I put any more clean silverware in it. All I had to do today was to empty out the drawer and wipe it out. Easy Peasy! 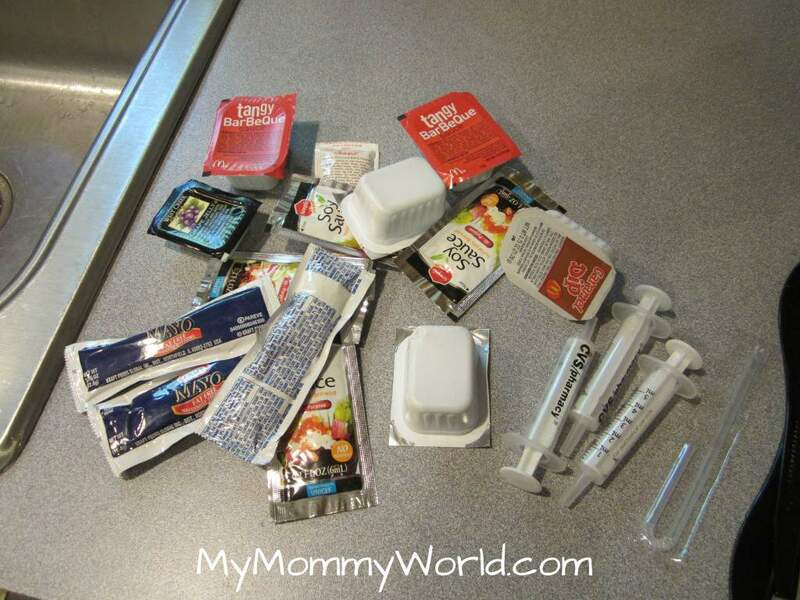 So much better without the thousand or so random ketchup packets from eating take-out (…ahem)! I like a nicely organized drawer. My 7 items for the day were the aforementioned packets, as well as 3 syringes from CVS. Again the question…why do I feel the need to keep junk like this around? Sigh. As usual, can’t wait to see what Crystal has in store for us tomorrow! This assignment is something I had been thinking of doing for a while but just had not made the time. I am glad to have it done. Nice job on yours. 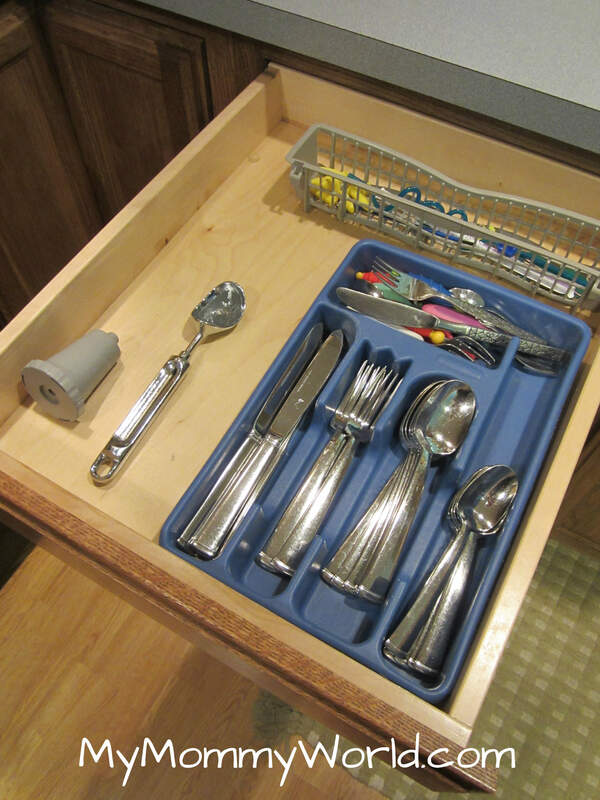 My drawer is so large I keep many other items besides just my silverware in it so it can get really cluttered. I was able to get rid of a few items I did not even know were still in there. Can’t wait for tomorrow so many areas of my home are looking so much better. A little organizing can go a long way. You are so right! And it feels so good to be organized, doesn’t it?